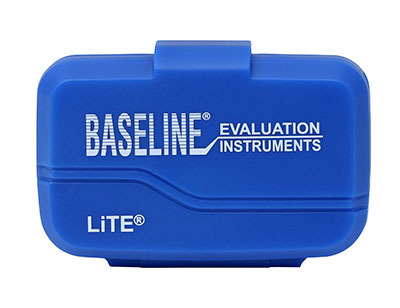 The Baseline® Lite Pedometer measures every step the user takes for a healthier lifestyle. It features a large digital display that is easy to read. A chart is found below the screen to tell the user how many calories were burned per step. 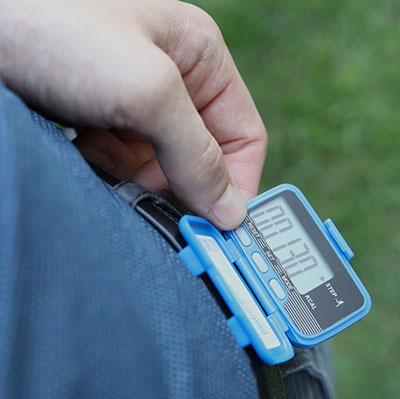 The hinged protective case has a strap attached to it to prevent the pedometer from being lost or broken. Dimensions: 2.5" x 0.5" x 1.5"
The Baseline® Standard Pedometer measures every step the user takes for a healthier lifestyle. It features a large digital display that is easy to read. 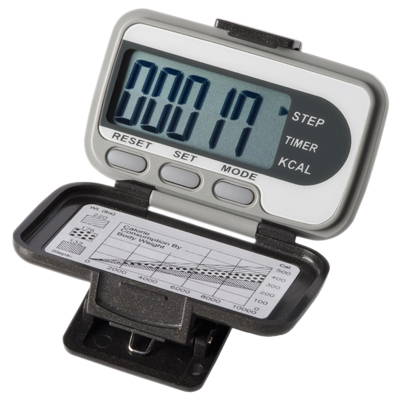 Along with counting the number of steps taken, the standard pedometer can also display the distance and calories burned. A chart is also found below the digital display for further reference of how many calories is burned per step. 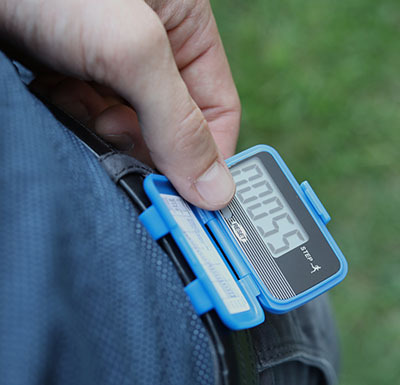 The hinged protective case has a strap attached to it to prevent the pedometer from being lost or broken. 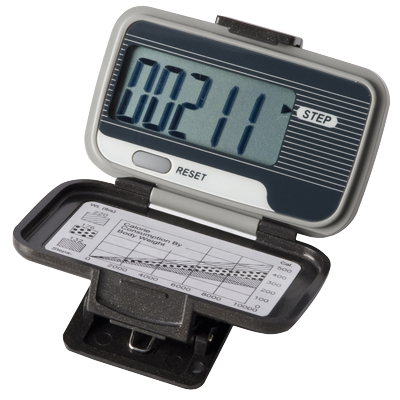 The Baseline® Deluxe Pedometer measures every step the user takes for a healthier lifestyle. It features a large digital display that is easy to read. Along with counting the number of steps taken, the deluxe pedometer can also display the activity time, distance and calories burned. A chart is also found below the digital display for further reference of how many calories is burned per step. 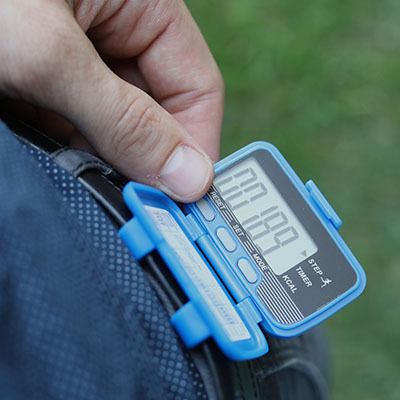 The hinged protective case has a strap attached to it to prevent the pedometer from being lost or broken. 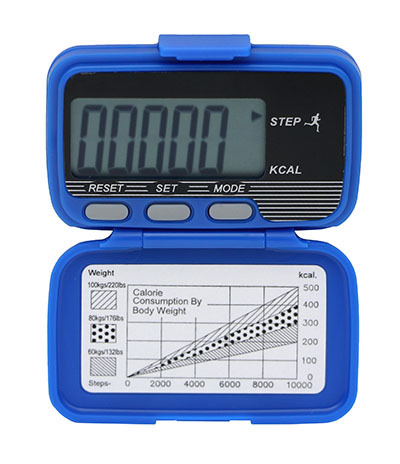 Ekho® Pedometer has large digital display. Hinged protective case. Loss prevention strap. User changeable batteries. Measures steps taken only. 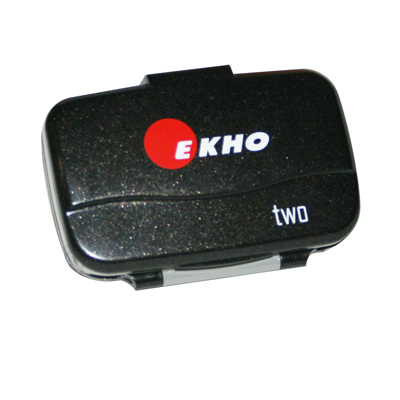 Ekho® Pedometer has large digital display. Hinged protective case. Loss prevention strap. User changeable batteries. Measures steps taken and distance walked/runs. 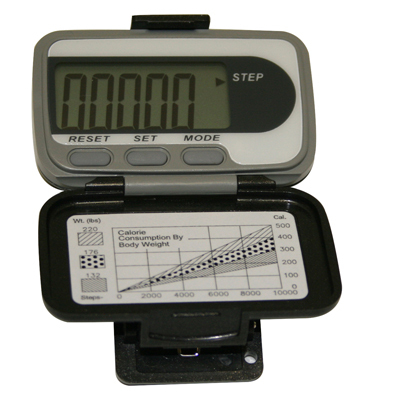 Ekho® Pedometer has large digital display. Hinged protective case. Loss prevention strap. User changeable batteries. Measures steps taken, distance walked/run and Calories and activity time. 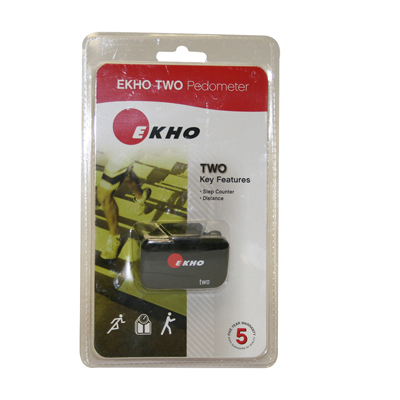 Ekho® Pedometer has large digital display. Hinged protective case. Loss prevention strap. User changeable batteries. Measures steps taken and distance walked/run.